The enterprise of publishing reliable and valid scientific content is under siege. Editors, publishers, authors, and readers of scholarly scientific literature are affected by widespread public distrust, undermining the processes by which institutions have traditionally functioned—including the structures from which science and scholarship unfold. The publishing industry has been threatened by shady practices that use online publishing in ways that are widely recognized as lacking the integrity of traditional editorial standards, typically not serving the interests of science and the disciplinary integrity upon which science is founded. Some have characterized these threats as “predatory” or “dishonest publishing,” but regardless of the term used, it is clear that now is the time to shine a light on the policies and practices that assure editorial integrity and credible content in scholarly literature. 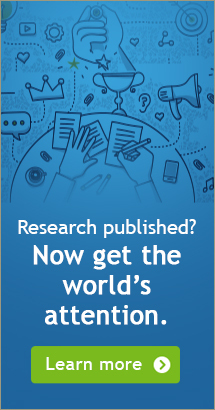 In February 2017, Scholarly Kitchen Chef Alice Meadows published a post addressing the risks to science and scientists arising from public distrust, and efforts in the popular media to fuel distrust.1 Meadows provided a number of important resources now available to all journal publishers and editors that can be used to educate the public, confirm the authenticity of work submitted for publication, and improve transparency. Many of these actions and policies have been long-standing norms in the conduct of authorship, editorial oversight and publishing best practices. The difference now is that we are called upon to make these policies and actions explicit, transparent, and confirmable. In the past, editors and publishers took many of these practices for granted—we assumed that this was the way things were done. It is only recently that we have realized the scope of the threat that all scholarly enterprises face, the importance of paying attention to how we do what we do, and the need to convey our policies and practices to researchers and the public. In a recent study completed by a team of nurse researchers, the authors identified over 4,000 articles published in journals identified as predatory in the past 4 years.2 Of a randomly selected sample of 358 of the articles, 96.1% were rated as poor or average, indicating that not only is there a record of low-quality research being conducted in nursing, but reports of low-quality research are being published in journals that can and do find their way to readers and practitioners.2 Nursing is a profession that is not known for a propensity to behave unethically; in fact, according to the most recent Gallup poll, nursing ranks at the top of the list of trusted professions for the 15th year in a row.3 Therefore, it is reasonable to assume that nurses, like many in other disciplines, do not typically act out of malicious intent. But nurse authors, like most other professionals, are vulnerable to any number of factors that lead to poorly conducted and reported scholarship. Unless members of a discipline are aware of standards for high-quality scientific conduct and reporting, as well as signs of poor research quality and poor standards for reporting and publishing, they are vulnerable to being drawn into the trap of publishing poorly conducted research in disreputable journals. This is a travesty for the individual and poses a real threat to the scientific integrity of the discipline. Further, this content can be used by a malicious segment of the public to discredit the integrity of an entire discipline. Dishonest publishers take every step possible to misrepresent their enterprise to make it look as if the enterprise is credible: They publish fake “impact factor” or other metric scores, list names of people on editorial boards who may not even be aware that their names are being used, and make false claims about their peer review processes. What they cannot do is make up and confirm details related to editorial standards and the evidence that assures editorial integrity. As an author, you can always question the standards set by the journal editorial office. The two major threats to scholarly publishing—eroding public confidence and the existence of low quality, dishonest publishing—are threats that are probably not going to disappear on their own, and they are not susceptible to the usual remedy of refutation using facts or evidence. Therefore, the avenues available to resist these threats involve actions that focus on communicating and demonstrating that which assures scientific worth and credibility. Editors and publishers must examine their policies and practices to be sure that they are the best possible, take necessary steps to adhere to these policies and practice, and develop ways to confirm, for the public, that these actions are indeed consistent with their claims. This is not a one-time project; it requires an ongoing assessment of publishing practices and taking steps that are needed to improve not only the publishing process but how those processes are communicated to their audiences. The table below summarizes editorial policies and practices that deserve careful examination both in terms of what publishers actually do, as well as how they represent what they do online and in print. Most of these are standard practices that are familiar to all editors and publishers of credible journals, but the ways in which they affirm these practices have not typically been as transparent as they now need to be. I have identified these factors based on the research on predatory publishing in nursing, the significant work of Jeffrey Beall in revealing dishonest publishing practices, and posts on the Scholarly Kitchen that address these issues.1,2,4-7 Most credible nursing journals provide most of the information and evidence addressed here, but there is room for improvement, particularly in making the information readily accessible to authors and the public. The editorial features shown in the table below are editorial leadership; originality of editorial content; author identity and confirmation of authorship; manuscript preparation standards; manuscript review process; manuscript production standards; and post-production archiving, discoverability, and social media. These key areas rise to the surface, distinguishing credible scholarly content from content that cannot be confirmed as credible. But the distinction is only apparent if credible journals state their policies in detail and show the evidence that their practices conform to their policies. ● Basis on which a manuscript review is concluded by the editor ● Summary of the peer review process (or its alternative). The crucial role of the senior editor cannot be overstated. It is a role that has rich traditions, and even though it is subject to evolution and change, the fundamental necessity of strong editorial leadership by accomplished members of the discipline remains the bedrock of credibility in scholarly publishing. The associate editors and editorial advisory board (or its equivalent) also play crucial roles in assuring quality and credibility, but it is the senior editor who provides the vision, direction, and standards on which the journal rests. Several recent posts in The Scholarly Kitchen affirm the critical nature of the senior editor, pointing out the fact that “peer review” is typically identified as the key element in assuring the credibility of a journal’s content, overlooking the vital role of the editorial team in overseeing the journal’s policies and standards, their roles in managing the peer review process, and their responsibilities for making sense of the peer reviews and forming final decisions about the status of each manuscript.8-10 The publisher, and any affiliated associations, are also key players in supporting the editorial roles, but sound editorial leadership requires independence from the interests of the publisher or association. All editors, at any level in the leadership structure of a scholarly journal, must engage with professional organizations that support scholarship and publishing in general, as well as those within in their discipline. Membership in COPE (The Committee on Publication Ethics; https://publicationethics.org) provides access to the many sources of information related to publishing ethics, as well as ethical review when facing an ethical dilemma. Examples of organizations that support publishing standards in specific fields include the World Association of Medical Editors (www.wame.org), the International Academy of Nursing Editors (https://nursingeditors.com), and the African American Intellectual History Society (www.aaihs.org). As shown in the table, the sources of evidence for originality rely heavily on author self-report and peer review. The online capability to scan for evidence of plagiarism provides an important checkpoint, but perhaps the most important aspect of this quality is simply stating clearly the journal’s expectation of originality. ● Agreement to be accountable for all aspects of the work in ensuring that questions related to the accuracy or integrity of any part of the work are appropriately investigated and resolved. ● Policies related to the use of social media. Transparency about a journal’s manuscript review process and policies governing how they select manuscripts for publication, with or without peer review, must be thoroughly explained, as well as the guidelines that govern the appointment of peer reviewers. The Sense about Science project, dedicated to strengthening the representation of science to the public, offers peer review workshops that can be used by any journal to better communicate peer review traditional or alternative methods, and offers workshops for early career researchers (http://senseaboutscience.org/activities/peer-review). One of the assurances that is a hallmark of quality is adherence to the scientific credibility of editorial content throughout the production process. Details of these processes, and the standards that govern copyediting and formatting, are seldom described, but because of lapses in these processes over the past decade it has become important to bring these processes into scrutiny and clarify the practices and policies. Copyediting has traditionally been limited in scientific literature to improving clarity and refine style and format, with care to preserve the scientific merit of the manuscript. Now the boundaries and commitments that govern copyediting are crucial indicators of quality. Assurance of permanence of scientific literature, now provided by the use of DOIs (Digital Object identifiers), is vital for all scholarly disciplines and can be readily confirmed online by the public. The matter of repositories and social media are still in flux, but all journals, open access as well as subscription, are well advised to establish related policies to guide post-production use of the material they publish. The challenges of scholarly integrity have multiplied exponentially in recent years. To meet these challenges, it is incumbent on editors of credible journals, online and subscription, traditional and non-traditional, to document and explain the practices to authors on which their credibility rests. As an author, you now know the key areas that distinguish a credible editorial office and journal and can critically evaluate the quality of a journal by visiting the website for transparency into the editorial process. 1. Meadows A. 15 things we can do to stand up for science! 2017. https://scholarlykitchen.sspnet.org/2017/02/27/15-things-we-can-do-to-stand-up-for-science. 2. Oermann M, Nicoll LH, Chinn PL, et al. Quality of articles published in predatory nursing journals. Nurs Outlook. 2017; in press. 3. Norman J. Americans rate healthcare providers high on honesty, ethics. 2016. www.gallup.com/poll/200057/americans-rate-healthcare-providers-high-honesty-ethics.aspx. 4. Anderson K. Publishing in a time of information warfare—a wakeup call. The Scholary Kitchen. 2017. https://scholarlykitchen.sspnet.org/2017/04/03/publishing-in-a-time-of-information-warfare-a-wakeup-call. 5. Beall J. Scholarly Open Access (archived). 2017. https://web.archive.org/web/20170103170903/https:/scholarlyoa.com. 6. Oermann MH, Conklin JL, Nicoll LH, et al. Study of predatory open access nursing journals. J Nurs Scholarship. 2016;48(6):624-632. 7. International Academy of Nursing Editors. Best practices for journal websites. 2016. https://nursingeditors.com/inane-initiatives/best-practices-for-journal-websites-2. 8. Anderson K. The editor—a vital role we barely talk about anymore. The Scholarly Kitchen. 2014. https://scholarlykitchen.sspnet.org/2014/09/23/the-editor-a-vital-role-we-barely-talk-about-anymore. 9. Anderson K. Revisiting: The editor—a vital role we barely talk about anymore. The Scholarly Kitchen. 2015. https://scholarlykitchen.sspnet.org/2015/09/17/revisiting-the-editor-a-vital-role-we-barely-talk-about-anymore. 10. Michael A. Ask the chefs: what is editorial independence and how does it impact publishing? 2015. https://scholarlykitchen.sspnet.org/2015/04/30/ask-the-chefs-what-is-editorial-independence-and-how-does-it-impact-publishing.